EDIT: PLEASE NOTE OUR MANUFACTURER OF THESE ROOFS HAS STOPPED MAKING THEM. WE NO LONGER HAVE THEM AVAILABLE. A common way to get more storage space out of your containers is to line them up parallel to each other with some space between them. 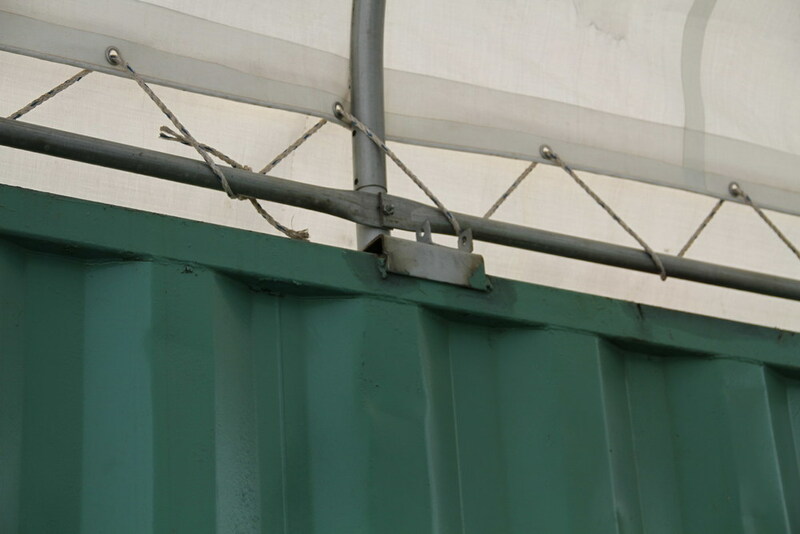 Then install a roof over that space and make even more storage space from just two containers. This great idea has been around for a long time. However, our roof kit manufacturer discontinued their roofs a couple of years ago and we've been trying to find a good replacement. Until now! 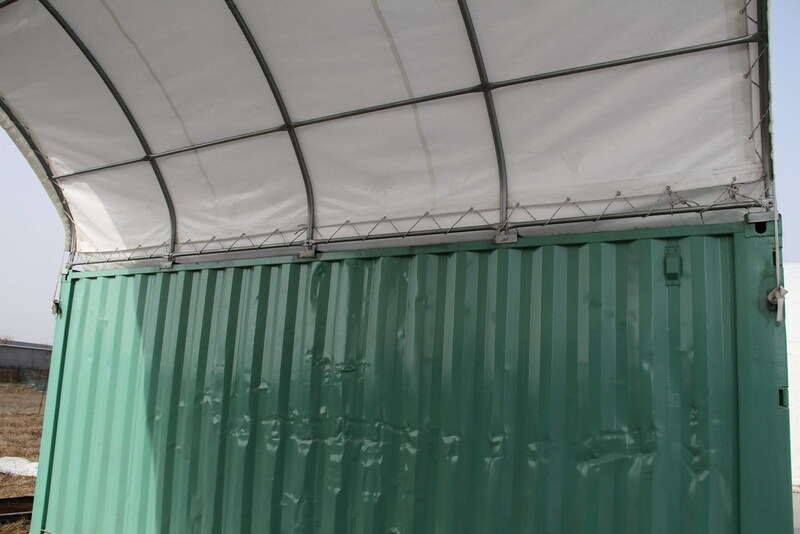 One of our trusted vendors is now offering "Container Shelters" (or roofs) that span between either two 20's or two 40's. 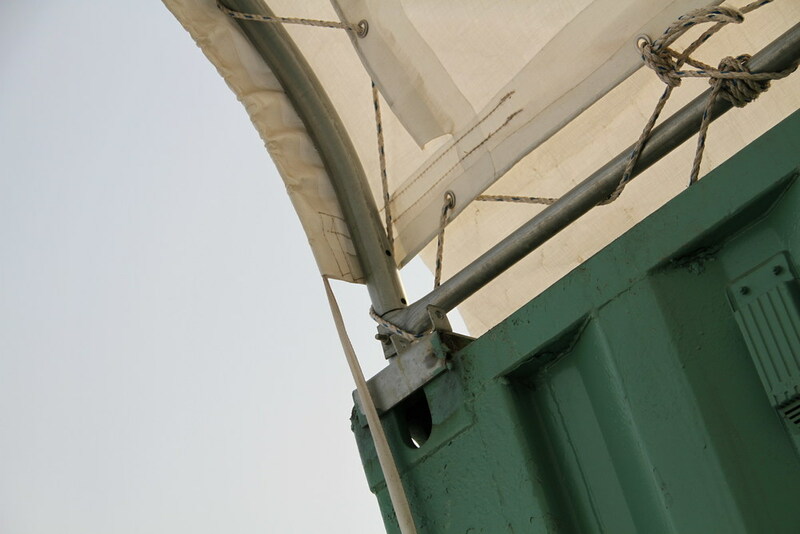 The roof consists of a steel tubing frame and PVC tarping. 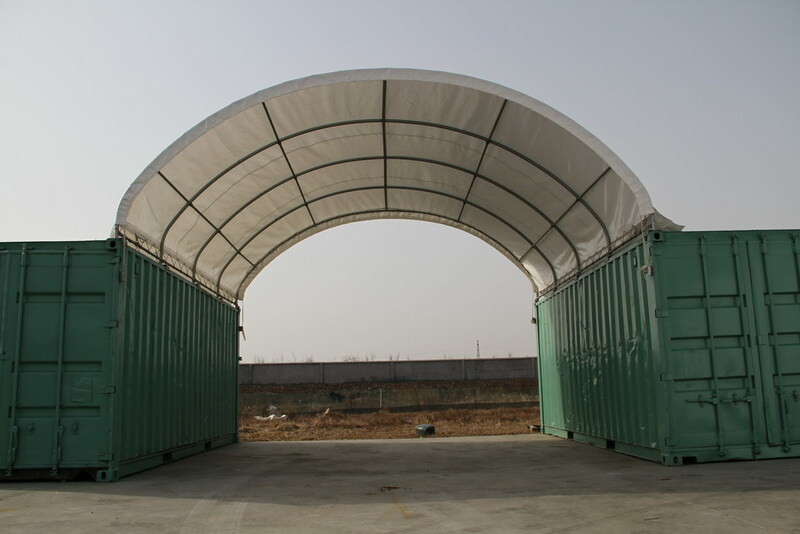 The arched structure helps to push rain and snow off of the container. 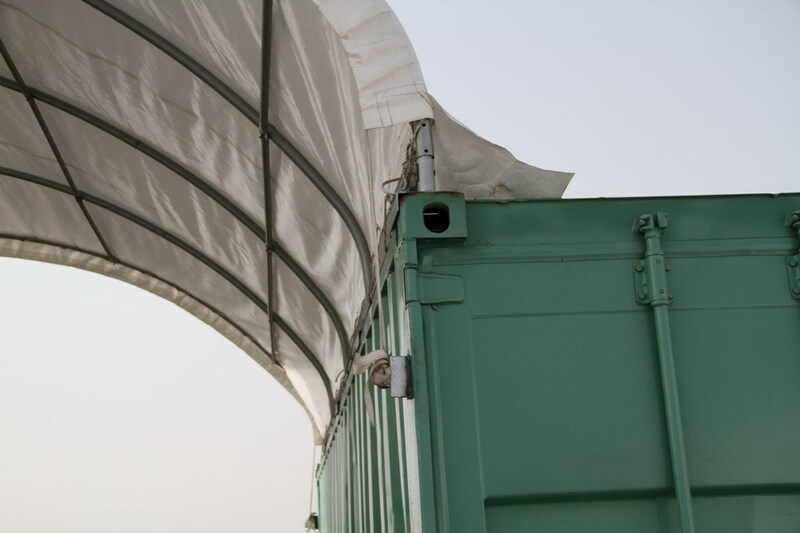 The frame attaches to the inside lengths of the container to create a covered space between the containers. Check out these pictures of the roofs. One completed set packed in a steel crate for the shipment. If you are interested in these, please contact us at 877-374-5452.